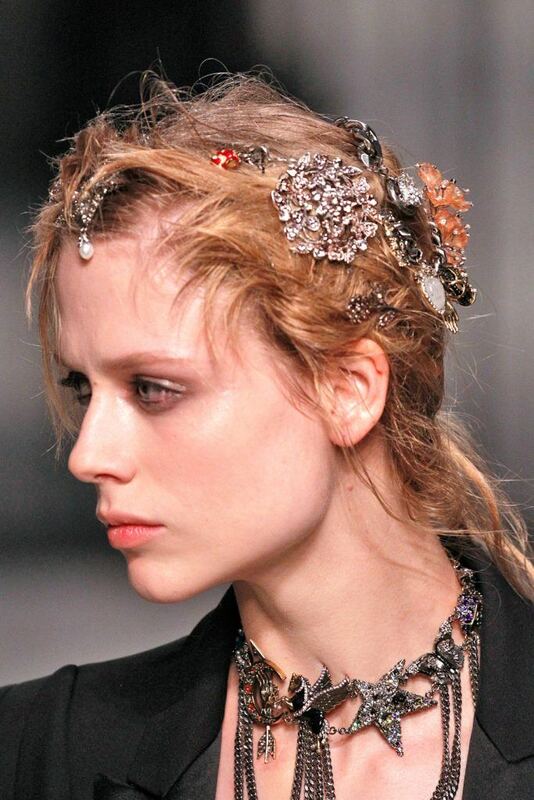 Would You Try One of These Runway-Worthy Bold Hair Accessories? 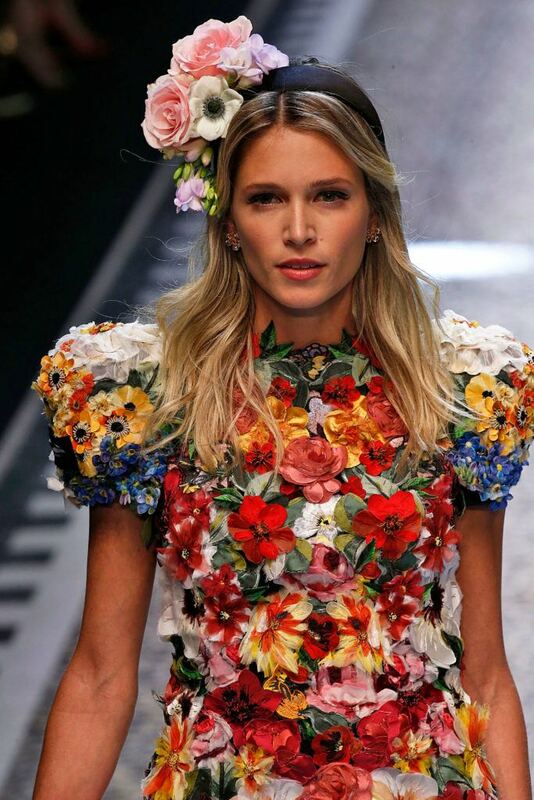 Home > Hairstyles & Haircuts > Hair Trends > Would You Try One of These Runway-Worthy Bold Hair Accessories? Changing your look has never been easier. We are all about owning your personal style, especially when it comes to your hair. 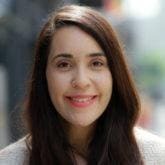 While switching up your color or going for that short chop are some of the most obvious ways to alter your look, you can also take less drastic, i.e. permanent, methods with the help of bold hair accessories. Traditionally thought of as more of an arena for bobby pins or thin headbands, the accessories category has come a long way, and we’re now seeing some of our favorite hair enhancers contending in the big leagues on the red carpet or at NYFW. Who says wearing a crown has to stop when you’re five years old? Not us! 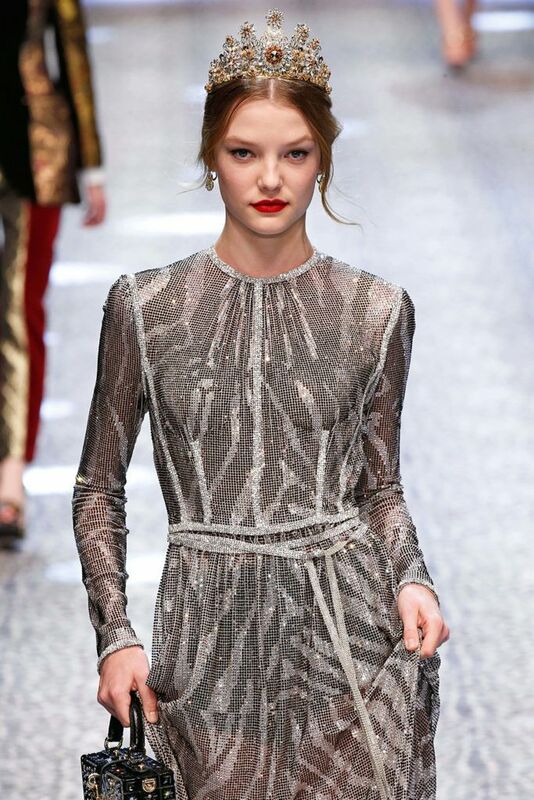 We love this semi-over-the-top yet fierce sparkly crown that’s complemented with a low updo. Pull some wisps out of your updo for good measure and prepare to shine. Spring will eventually arrive and the cold weather will end and you are totally going to be ready with this bold, floral headband. 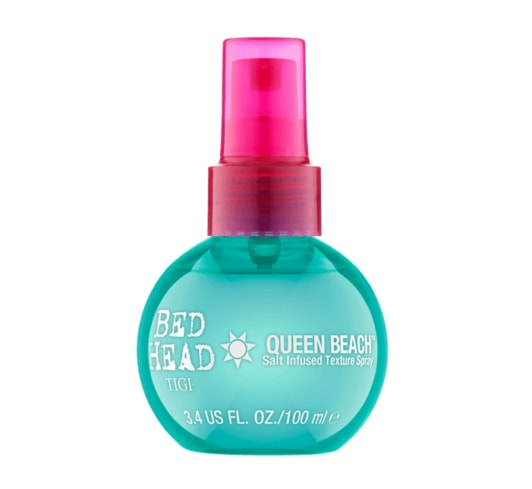 To achieve this look, spritz some Bed Head by TIGI Queen Beach Salt Infused Texture Spray onto your hair, scrunch with your fingers to achieve a light wave, and place your garden-inspired accessory on your hair. Headbands have gotten a major upgrade since their heyday of keeping our sweat beads in check at the gym. Nowadays they are all about fashion, as seen on the red carpet to the runway, and pair elegantly with your favorite party look. Plus, the silky smoothness of the satin won’t tug at your hair or mess with your coveted blowout. Sure, hair clips are nothing new in the game of hair accessories, but this look has us rethinking where we should be placing our stylish hair holders. This all-over effect is super lovely when placed on the side of your head. On the other end of the spectrum are these bold, expressive clips. 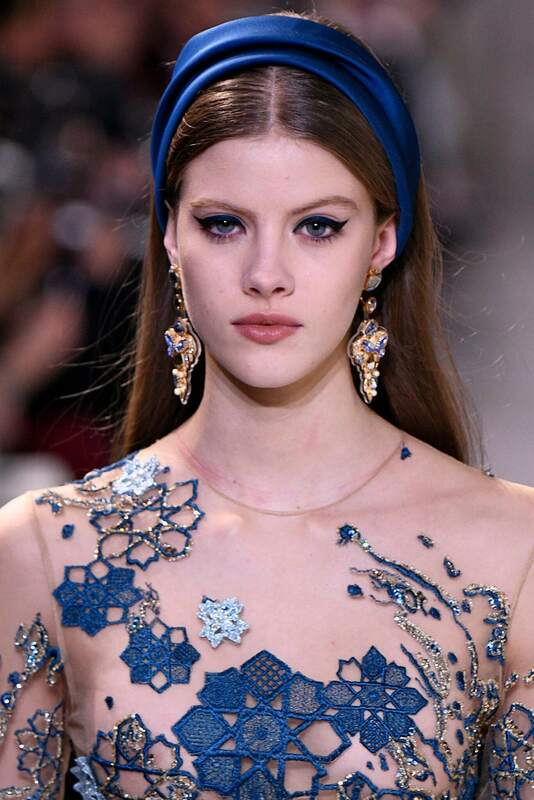 Perfect for a night out or when you just need some jewels in your hair (which is always! ), we love how this messy updo pairs up with bold hair accessories, giving off a modern style that is sure to turn heads. Weather of all kinds can really mess with your strands: You finally craft your hair in a certain way, only to have the elements bring your style down. 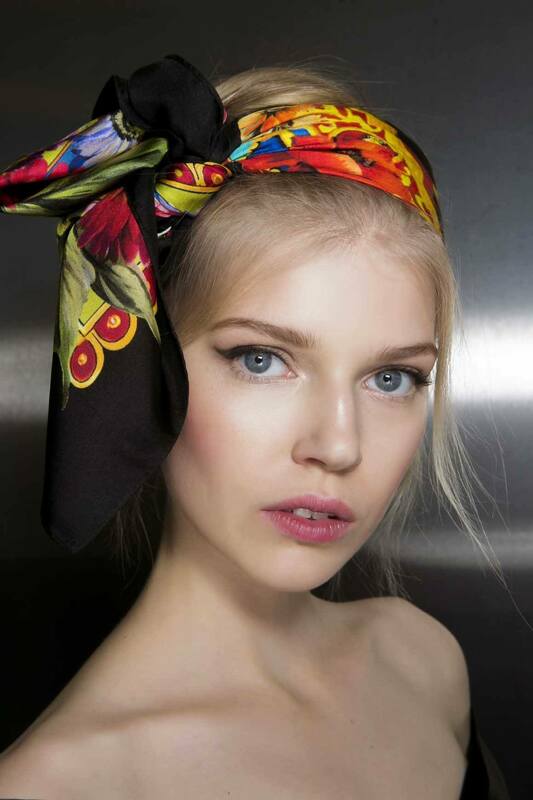 For a two-in-one option, we’re digging bold-patterned scarves that you can tie on top of your head (bonus points for big bows), and marvel as they smooth down hair while also keeping frizz at bay. Another regal look! 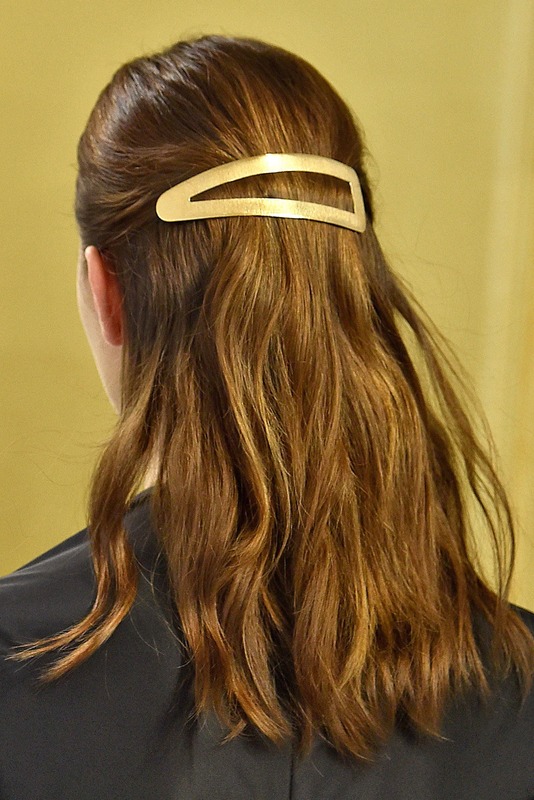 We are loving this Grecian-inspired headband that pairs quite lovely with a blowout. 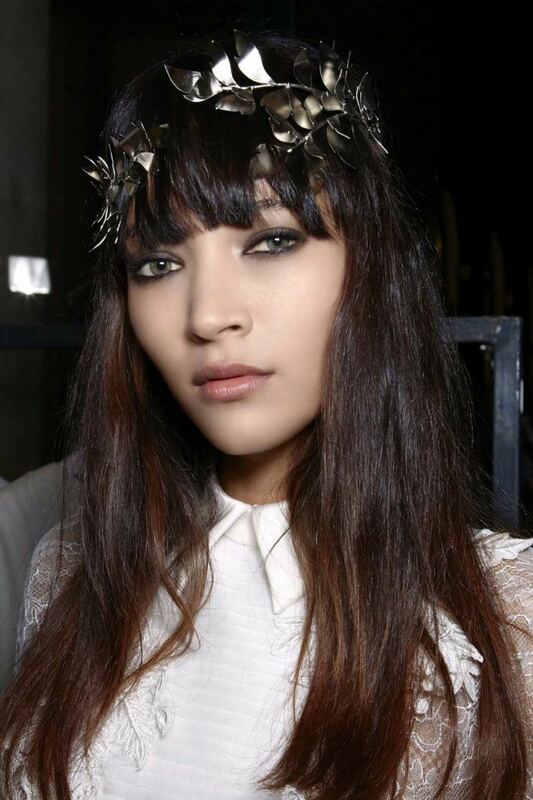 Add some bangs to the mix and you have an instant trendy look. This big clip is all about adding some drama to the back of your head as you showcase a sleek, put-together style. 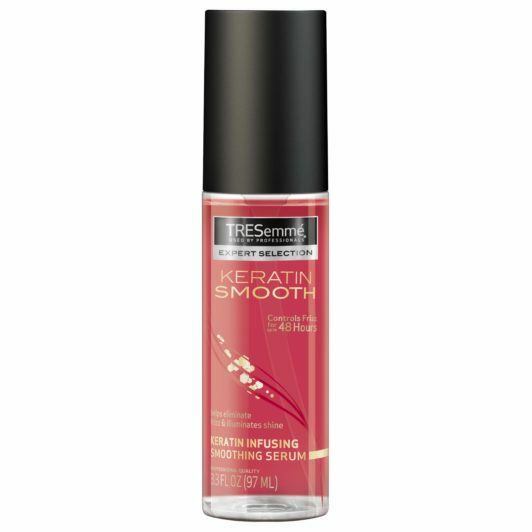 For some added sleekness at your base, use a dime-sized amount of TRESemmé Keratin Smooth Serum. If jewels and crowns aren’t your thing, opt for a hat! Hats will protect your hair from the elements that often cause frizz or flyways and are a stylish yet practical option.